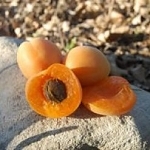 Apricots are delicious and tasty treats in the summer. 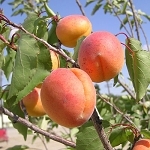 We have two favorite varieties that work with our low chill hours and ripen before the high heat arrives. April 2019 Update: These will be available as indicated, while supplies last. Customer pick up only. Pick-up is April 27.
and SAVE additional $ off Early Bird Pricing.